Small, slightly mad cars have always been brilliant. Whether it was something with a little performance, like an early Renault Sport Clio, or just something with a big smile on its face like a Fiat 500 TwinAir, stirring charisma into a small package always brews a winner. Kei cars, those dinky little ankle-biters from Japan, are prime examples. Most are a bit weird in some way, and most are very likeable, but some verge on special. 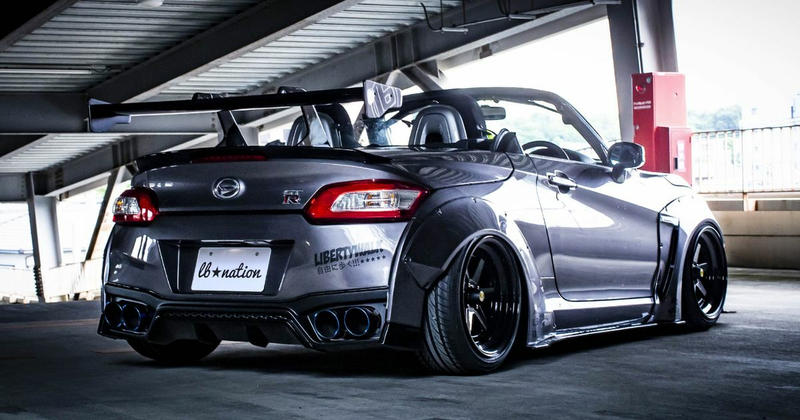 The Daihatsu Copen is one of them. Power, performance, ride quality and refinement were just some of the things it had almost none of, and yet it was brilliant. Earlier this week we reported on the meanest, most outrageous Copen we can remember seeing. 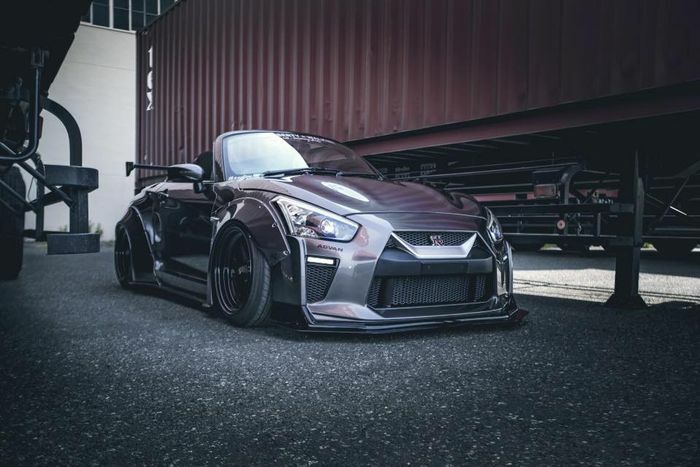 A bonkers Nissan GT-R-themed Liberty Walk project has turned the little trier into a laugh-out-loud desirable driveway ornament and everyday partner in crime. We love it, and it gets even better when you realise that the whole ‘GT-K’ conversion kit is yours for about £2800. Admittedly we’d prefer to have GT-K badges rather than the silly official GT-R ones it wears, but it’s still a bargain. In the UK used Copens go for as little as £1000, so that’s 800kg (plus body kit) of ridiculousness – and drop-top driving happiness – for not much cash at all. It makes a lot more sense than the power war among hot hatchbacks and super-saloons. It makes high-powered SUVs look like the love-children of total insanity and Marmite. Why bother with all that, and all the expense, if you can get more thrills and a fundamentally truer, more wholesome sense of fun in something diddy? 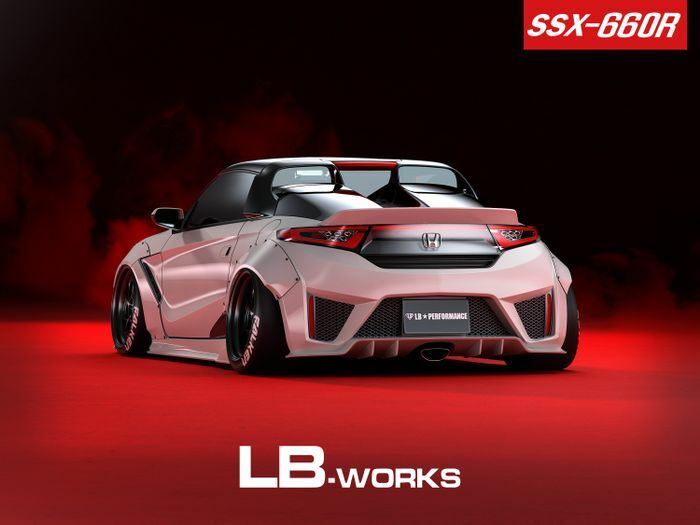 In a country where the roads are becoming ever-more congested and you have to get up ever-earlier in the morning to find the roads quiet enough to enjoy any sense of freedom, cheeky kei cars like the Copen, especially with the LB kit, would make a lot of sense. If you’ve never driven one, picture this: you’re behind the wheel, feeling the proximity of the windscreen and door trim, the seat sending every jolt in the road through you as you hurtle down a winding road, the front wheels nimbly finding every apex, you’re grinning like the village idiot and looking down to see that you’re doing… err, 40mph. These are not normal cars. They’re amplifiers wired to your silliest habits only with police ‘interest’ nullified. You’re not going to be caught speeding: going much beyond 60mph on a winding road isn’t something you want to do often if you don’t want grey hair before you’re 30. They’re easy to park, chips-cheap to run and you can go crazy with sporty body mods without looking stupid. 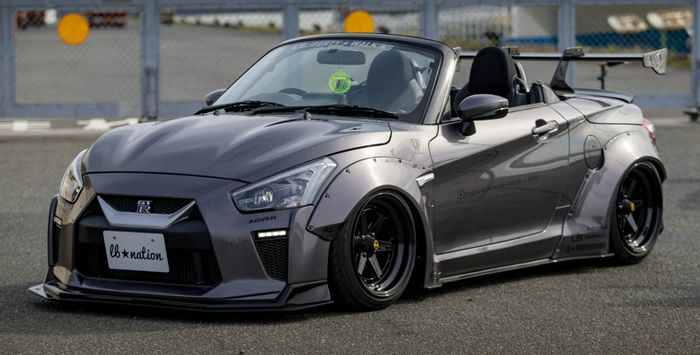 Few cars will turn heads quite like a Liberty Walk Copen GT-R/K, after all. Sounds great, doesn’t it? The idea of genuinely fun driving at low speeds without making your credit card cry little plastic tears should appeal to us all. But while Copens were officially imported to the UK, most other kei cars weren’t. After export costs there just wasn’t - and isn’t - enough profit in them. Squiffy exchange rates were the main reason Daihatsu packed up and left Europe in 2011.